Sprint was another chosen carrier to serve the iPhone here in the U.S. If you previously owned an iPhone either on AT&T or Verizon, you may know about the app the carriers offers to manage your online account. To manage an AT&T account on an iPhone you can download MyAT&T official app; Verizon users may be familiar with My Verizon Mobile as well. Now Sprint users can do the same thing. 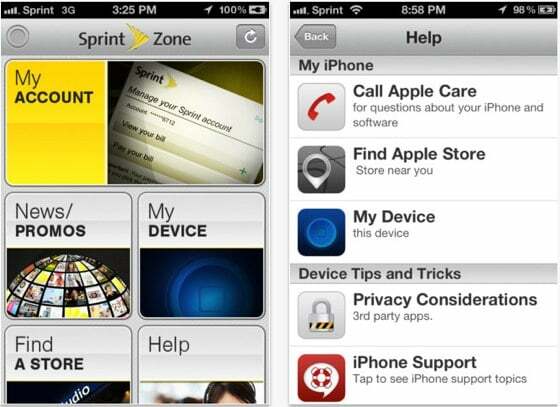 After more than three months of carrying the iPhone, Sprint has finally released an official app in the App Store called Sprint Mobile Zone so their users can manage their online account. The app also gives you promotions and Sprint official news.